The writer will address the theme of the parables of Jesus as they relate to the nature of God's kingdom, in addition to the traditional Holy Week themes. The writer may also include some of Jesus' teachings on prayer. The Lenten season will be enriched by these short daily readings, which include a suggested Scripture reading, a short devotion, and a closing prayer. The Sanctuary for Lent includes a page for each day in Lent and each Sunday that falls in Lent, as well as Easter. This resource is an excellent gift for family and friends, and for those who are less fortunate. The large print edition of the popular Lenten devotion, Sanctuary for Lent, makes it possible for those members of your congregation who struggle with smaller text to enjoy these daily readings and prayers. 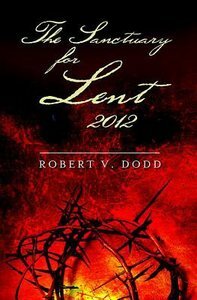 About "The Sanctury For Lent 2012 (Large Print)"